The trials and tribulations of dealing with an addiction are often compounded in a religious individual. Oftentimes, they feel like not only did they let themselves, friends, and family down, but they let God down, too. However, there are treatment solutions that incorporate someone’s religious standing and beliefs as a part of the treatment plan. In fact, faith based addiction treatment has shown, in some cases, to be more effective than its counterparts. How does spirituality factor into addiction recovery? Click here to learn more. 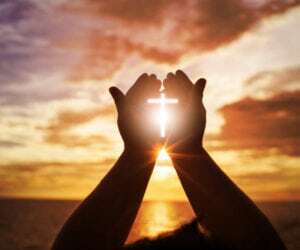 In this article, we will take a closer look at what religious based drug rehab programs are, what the potential benefits are, and how to find nearby religious drug rehab centers. What is Faith Based Addiction Treatment? Faith based addiction treatment is not much different from traditional treatment; it utilizes the same types of evidence-based methods of treatment. The one major difference in approach to treatment is that in a religious based drug rehab, an addiction is seen as the result of trying to fill a spiritual void that should be filled with God’s love with drugs and alcohol instead. By reestablishing a connection to God or a Higher Power, the addict finds new meaning in their life, and the Higher Power can then help the individual through the struggles of addiction. Many programs are added to the treatment plan that encourage this view of addiction treatment, such as prayer groups and spiritual counseling. What are the Advantages of Religious Drug Rehab Centers? The treatment helps the person to rebuild their relationship with God or a Higher Power, helping them to better deal with the stressors of life through Their guidance. Various studies show that those who find help for addiction through religious therapy are less likely to have a relapse. This type of program helps to build a faith-based support network in your area due to being exposed to other people with similar beliefs that are in the same situation. Helps a person to forgive themselves for their shortcomings, helps them to release guilt, and then embrace change. Who Should Use Faith Based Treatment? Of course, faith based treatment is only meant for people with a religious or spiritual background. However, anyone looking to establish a connection with a Higher Power to allow these forces to help guide them through recovery can partake in the program. One of the most famous faith-based programs is the 12-step program. It has helped thousands of people through its religious-focused approach to addiction treatment. Not every rehab or program is based in the spiritual or religious realm. So, how do you know which programs or rehabs have effective versions of these types of programs? Your search should start with checking if faith based programs are available. Once it has been established that there are such programs, one needs to confirm that the programs offered are effective. The best way to do this is to check their credentials as these will indicate if the standards for substance abuse treatment in the United States has been followed. One can discover what the standards are by looking at the Principals of Effective Treatment as outlined by the National Institute on Drug Abuse. WhiteSands is an example of an ideal faith based treatment facility. Not only do their programs provide solutions for religious addicts, but they strictly adhere to the standards of effective treatment – as one can see through their credentials. WhiteSands has both inpatient and outpatient facilities across Florida.